Have you started stitching gifts for the holidays yet? As stitchers, our holiday shopping begins before everyone else because our gifts take so much more work than the typical gifts do. That is what makes them so special. When recipients open our stitched gifts, they see our love and work in every stitch we crossed in making our works of art! 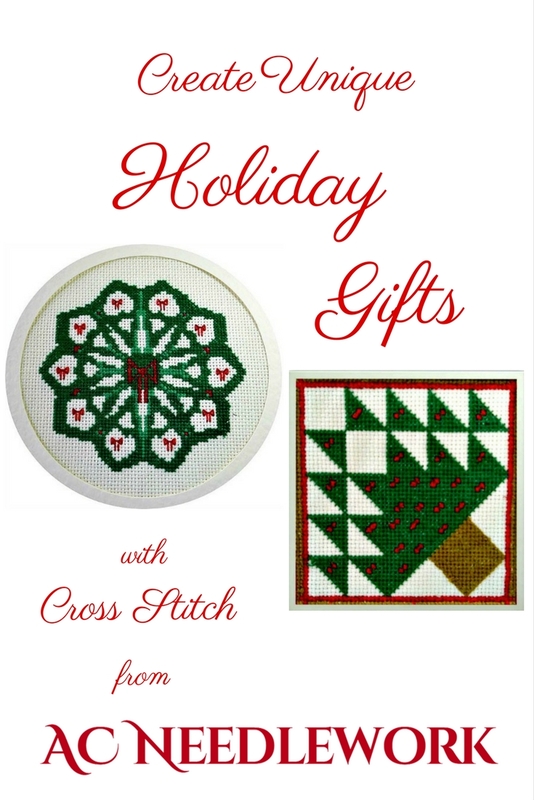 I am so happy to introduce two new holiday designs from AC Needlework. Keep reading to get the details. 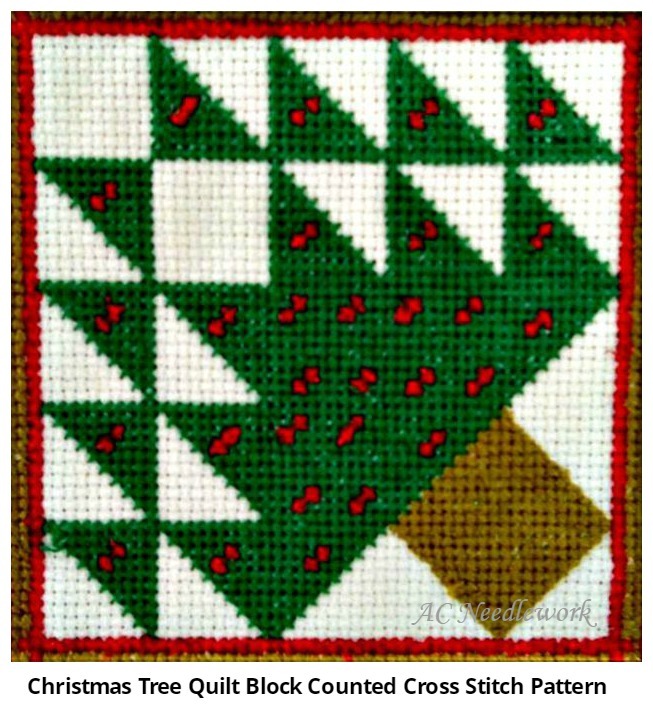 Imagine a Christmas tree turned on its side and you will see how triangles of red, green, and white form this Christmas Tree Quilt Block counted cross stitch pattern. 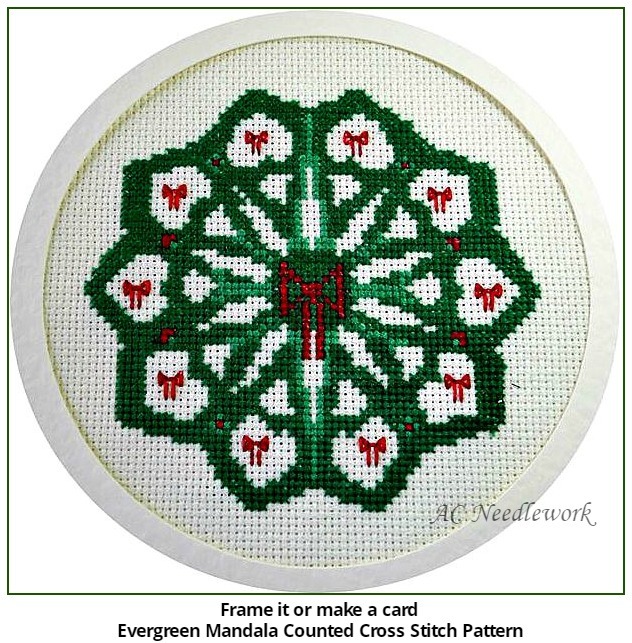 This design was inspired by the traditional Tree of Life quilt block pattern. The quilt block consists of two triangles sewn together to form a basic square. I was attracted to the design because of the different shapes your eyes can see as you gaze at the design. 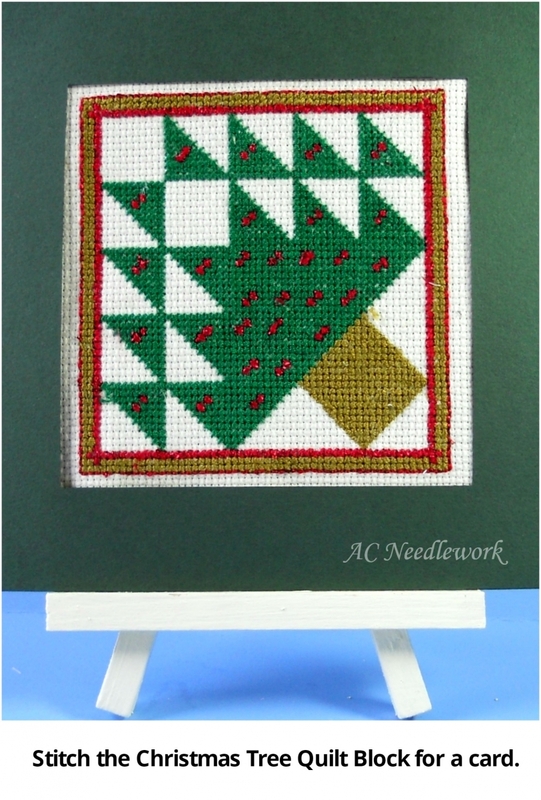 It was holiday time when I discovered this quilt block and I thought - why not a Christmas tree? About blending filament -The Krenik blending filament is optional. I love the addition of the blending filament because it gives a bit of sparkle to the red "lights" on the tree. TIP: If you have never used blending filament, keep the filament short (4 or 5 inches in length) and use one strand of filament with one strand of cotton floss. This will help prevent the filament from breaking or raveling as you stitch. 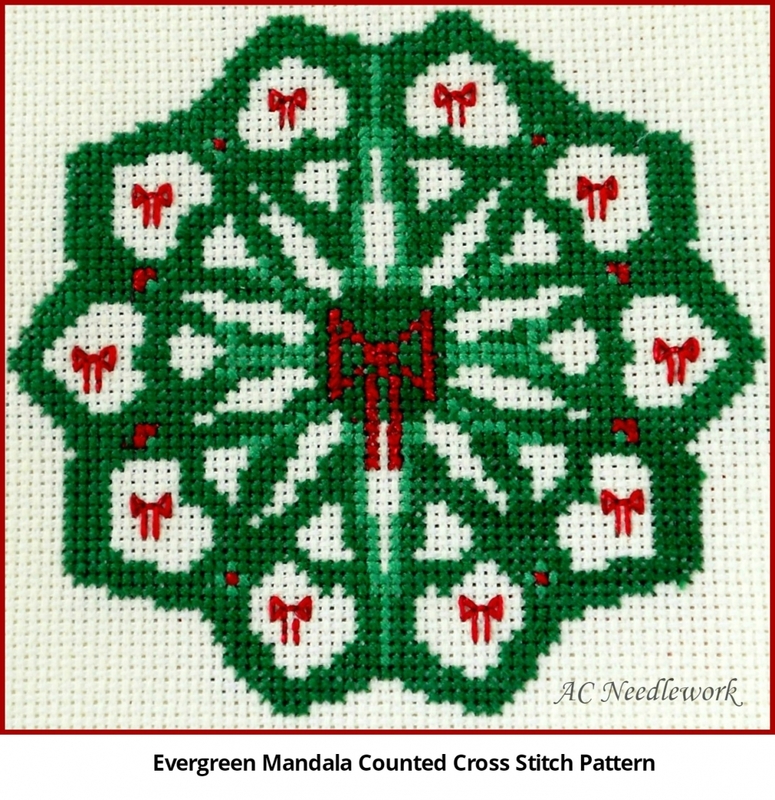 Adorned with shiny red bows in a ring of holiday green, the Evergreen Mandala Counted Cross Stitch Pattern is a perfect choice for a greeting card for the holiday. It would also be lovely mounted in a small frame and displayed on a mantel or in another holiday centerpiece. So, stitchers, whether you are a beginner or experienced at cross stitching, bring delight to someone this holiday by stitching these two new designs for holiday gifts. What are you stitching for holiday? Share your projects with us on the AC Needlework Facebook page. If you choose a design featured in this blog post, share your photos of them on our Facebook page also.